In her artisan workshop, Sonia enthusiastically carries forward the enterprise founded her father Andrea, an enterprising, dynamic man, in 1972. After accruing vast experience as mosaicist and painter, he decided to start up his own company to produce plaster interior decorating accessories. Together with his young wife, Laura, he transformed their garage into a small workshop. 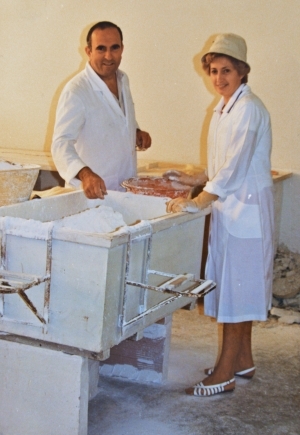 In those years of great turmoil, the inspiring contribution of his wife was fundamental to establishing the business. It was a time when stucco works were in great demand and thus the business quickly grew, adding new models of cornices, ceiling roses and accent pieces. And it was not long before they built the current site with its large showroom. In the following years, the standard production was expanded with the addition of corner cornices of different shapes and sizes, as well as mouldings designed to conceal lighting, both highly popular items. In addition, they perfected the production of accent pieces such as custom-curved cornices, pilasters, columns and various types of capitals, keystones, domes, niches and cross vaults. A large part of the work concentrated on custom production, as during the long-term project undertaken to produce plaster reproductions of the original decorative elements in churches and buildings damaged by the earthquake that hit the Friuli Venezia Giulia region in 1976. The custom plaster mouldings can be seen in various public buildings throughout the Veneto and Friuli regions of Italy, in such places as museums, city halls, banking institutions and in many of the region's seaside hotels. The standard stuccoes and the custom pieces made by Sonia adorn private homes, hotels, restaurants, ice cream parlours, shopping centres, churches, public and private enterprises throughout Italy, and even in France, Slovenia, Croatia, Austria, Switzerland Germany, Azerbaijan, Turkmenistan and Oman. 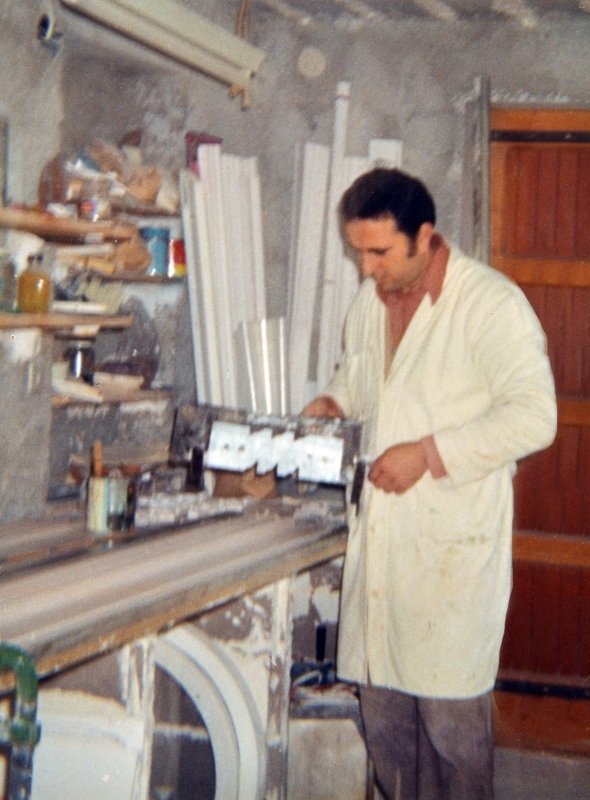 The workshop was founded and has grown out of a solid family background, everyone pulling together for a common goal: construction of an artisan business producing high quality decorative plaster mouldings that impart a refined, harmony to living spaces.